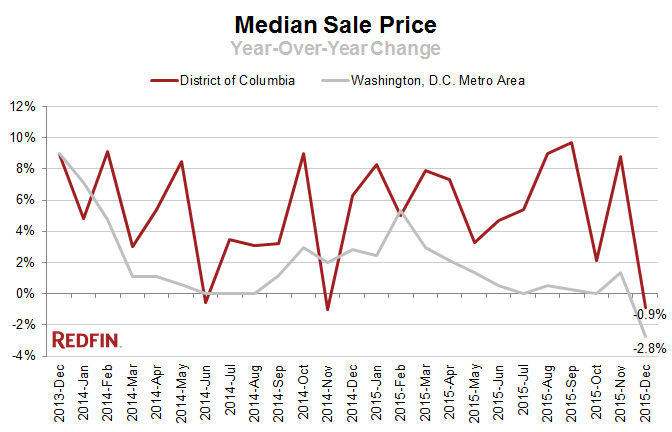 It’s not often that District of Columbia home prices report a decline, but heading into the winter season the inevitable finally happened. But no need to fret, home price declines didn’t even hit 1 percent. According to Redfin, home prices in Washington, D.C. fell 0.9 percent in December on an annual basis, but home sales inched up 5.4 percent. 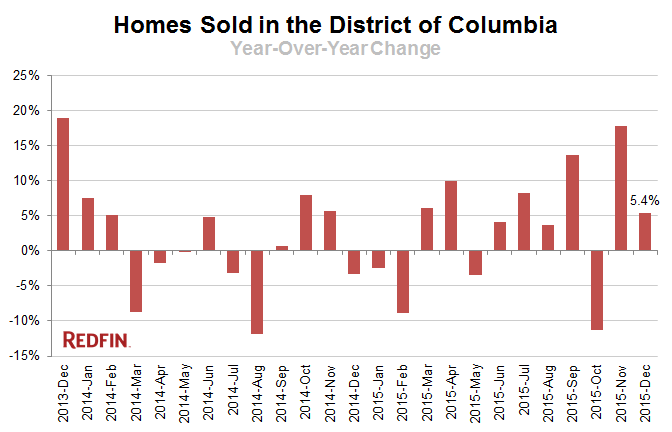 Homes sold in DC did fall over the previous month, but November home sales were up significantly from October. On a neighborhood basis, DC is pretty consistently strong. Washington, D.C. home values are increasing dramatically in the Takoma area by 119 percent. Congress Heights saw a whopping 61.5 percent increase in homes sold, and Historic Anacostia saw a similar 66.7 percent increase.